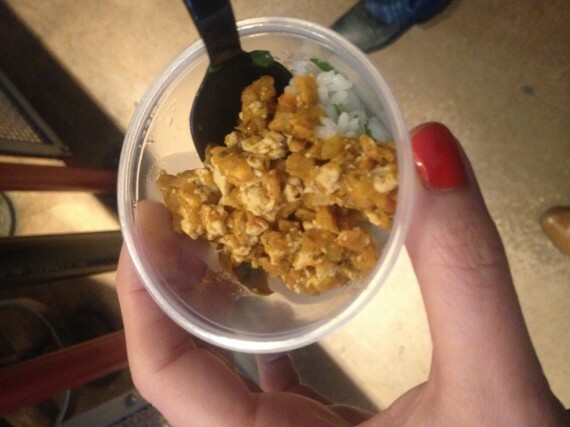 If you're like me, you were super psyched when you heard Chipotle was going to begin serving tofu. We live in an age where pizza can be vegan and gluten-free. Even Burger King offers a veggie burger. So Chipotle was really just playing catch-up. But it didn't take me long to realize what Chipotle was really doing by adding tofu (aka Sofritas) to its menu: It had cleverly devised a way to get vegetarians to pay more for a meatless burrito. Now, vegetarians can spend just as much as omnivores. Chipotle is a staple in my work lunch diet (as evidenced by the stack of Chipotle napkins on my desk and this gift card I got for Valentine's Day). And while I'm not a vegetarian, I do often go meatless, especially at lunch. So when I first found out that Chipotle was bringing tofu to New York, I thought long and hard about how this would affect my life. 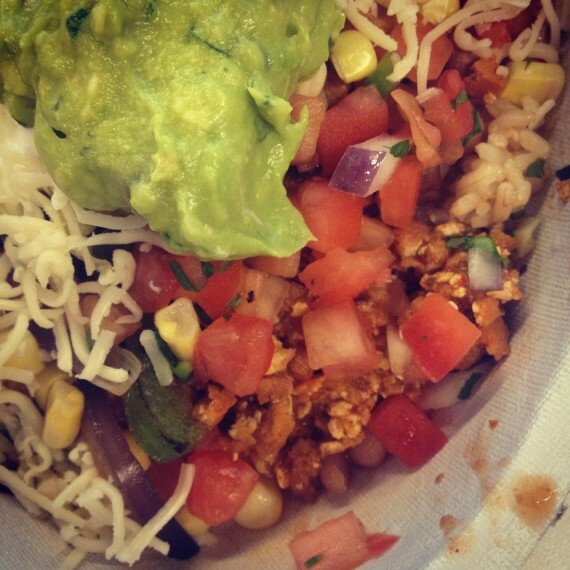 A Sofritas burrito bowl from Chipotle. Ordering vegetarian at Chipotle is pretty economical -- by not getting meat, you get the guacamole without being charged the extra $2. My usual Chipotle order (burrito bowl with brown rice, pinto beans, fajita veggies, tomato salsa, corn salsa, tomatillo salsa, sour cream, cheese and guacamole) only sets me back $8.50, including tax, and the whole thing is a pretty well-rounded and filling meal. Adding tofu to the mix really changes things. Sofritas costs the same as chicken ($8.50, including tax) and guacamole turns into an added cost. That brings the cost up to $10.75. Am I really willing to shell out an extra $2.25 for some braised tofu? Receipts compare the price of a veggie bowl to the price of a Sofritas bowl with guacamole. Obviously, taste is important. The Chipotle Sofritas tofu is pretty good. It's not much different than your run-of-the-mill tofu scramble, though may be a bit greasier. It's a nice texture with a smokey chipotle flavor. But to be honest, it doesn't add all that much flavor to the bowl. While I could understand paying $10+ for steak or pork in my burrito, the tofu doesn't seem to justify the added charge. Chipotle said I was missing the point entirely. A company spokesperson wrote, "Sofritas isn't about money, it's about making a great tasting vegan/vegetarian option. It's priced the same as chicken because its costs to us are similar to chicken. Our margins on it are pretty similar to chicken." The bottom line is, Sofritas is no game-changer for me. I won't be paying more for a vegetarian burrito.